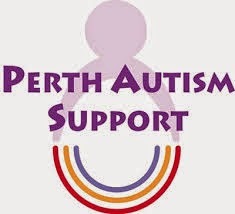 Perth Autism Support is a local registered charity, supporting children under the age of 18 who have been diagnosed with autism, and their families. Their aim is to ensure that every child diagnosed with autism in Perth & Kinross has access to quality activities and services. You can help a child and the environment by recycling your old Laser Toners and Drums. How can you arrange an uplift? Collections difficult in the snow today for recycle laser toner. Great interest was shown when the new recycle boxes arrived today in Perth!....Ok there was a treat on top of the box but Ty our office puppy and latest new staff member was very interested. He will be going on tour round the offices in Perthshire. We think he will be called Ty. Would you like a visit to collect your used toners for the recycle appeal? Local Perth Business Algo, provider of business meeting services has joined our laser toner Recycle Appeal. Lauren featured in our video, commented that the Recycle Station collection box both tidied and centralised the collection of used their used toners and mobile phones. Laser Toner Cartridge Recycle have made a new collection arrangement that by simply arranging an uplift of your old mobile phone or PDA a donation can now be made to charity. In addition to recycling your office printer laser toner and helping the environment you can help the kids in your area by donating your phone. Have you got old mobile phones and printer cartridges cluttering up your drawers and cupboards? Why not use them to support one of the current Recycling Appeals? Interested in helping your company achieve its green credentials? How about joining our Recycling Appeal and help at a corporate level to dispose of printer cartridges, mobile phones and PDAs in a socially conscious manner? Whether you’re an individual or a business, a small step on your part could make a big difference. Even a small donation of cartridges add up!